Bob Ehrlich: Just How Far Left Are Democrats Willing To Go? Conservative media’s consistently harsh judgments of the newly empowered progressive leadership proceeds apace. Nobody should be surprised. Such attention serves to highlight the movement’s more extreme policy positions (see, e.g., the Green New Deal and the giddiness over losing Amazon’s proposed new headquarters in New York) and strengthens the narrative that in the era of Trump at least, progressives are the Democratic Party. There is, of course, a degree of unfairness attached to the storyline. The midterms saw the election of two dozen moderate suburban Democrats to the House, ten representing districts carried by the president in 2016. The House Democratic Caucus counts many more traditional liberals as well. Still, whether the Democratic caucus includes a significant plurality or a bare majority of non-progressive members does not mitigate the fact that party leaders (especially the announced 2020 contenders) have moved hard left. “Medicare for all”: Wow, it’s finally here. No more slippin’ and slidin’, half-baked Obamacare proposals. 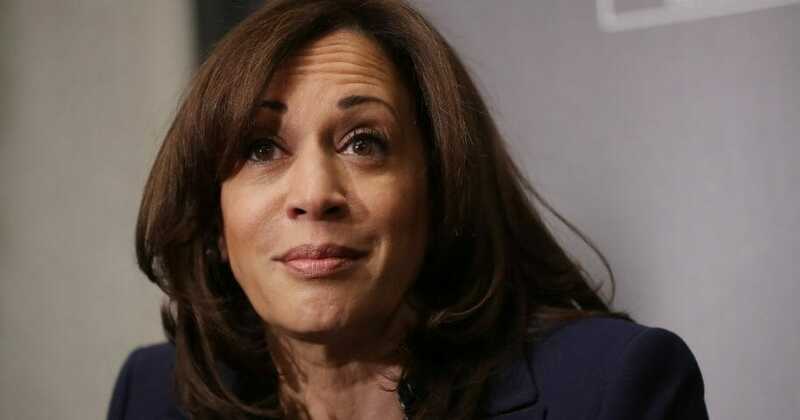 Bernie Sanders, Kamala Harris, and the Party’s other announced candidates for president believe the country is ready for the real thing, long waiting lines, more losses of one’s own doctor and enormous expense notwithstanding. Alas, nobody really knows what it truly means or how to get there from here — especially the approximately 190 million Americans presently (and for the most part happily) enrolled in employer-sponsored plans. For now, the feel-good slogan is enough to satiate the pleas of the uber-left base. And for those of you who oppose single payer in whatever form … well, you’re a racist. Oh, and if you are one of those people who oppose marginal tax rates up to 70, 80 or 90 percent … well, you’re a racist. “There is no crisis at the southern border”: “Crisis” is, of course, a subjective term. But up to 20 million illegal aliens, millions of tons of illegal drugs and now periodic caravans of migrants showing up at the border surely counts. Such large numbers of predominately unskilled laborers exact a monumental toll on our social welfare safety net. They also represent an undercutting force to unskilled and semi-skilled American workers looking for work in an increasingly mechanized economy. Those screams of frustration you hear from the aforementioned already vulnerable blue dogs reflect flyover America’s demand for real border security. And yes, if you agree with those deplorables, did I mention that, well, you’re a racist. “Boycott, divest and sanctions”: The presence of the BDS movement on many of our college campuses reflects a deep animus toward the Jewish State. That the only real democracy in the tinderbox known as the Middle East is forced to daily defend itself against those who seek to do it harm speaks to an aggressive anti-Zionism present in pockets of uber-progressivism. Herein is the makings of a potentially wide schism on the left. Will Jewish Democrats ever tire of such shenanigans? FYI: Those of you who defend the Zionist “occupiers” are, incidentally, of course, racists. “Late term abortion”: The promotion of Brett Kavanaugh as the “sure” fifth vote to overturn “Roe v. Wade” is at least part of the explanation for the left’s sudden wild swing on abortion policy. Nevertheless, conversations with people from all over the political spectrum confirm my suspicion that most do not interpret this latest move toward infanticide as a “choice” versus “life” issue. Most, in fact, see it as a radical departure from the Roe v Wade paradigm. Whether mainstream pro-choice Democrats will maintain the current momentum remains to be seen. Those who disagree are certainly misogynistic, likely racist to boot. “Can’t get enough identity politics”: It’s all-encompassing for today’s progressives but nothing could be more antithetical to the American experience. Both parties shared the latter view until quite recently. Yet today, serious liberals seldom defend American pluralism, assimilation, and/or exceptionalism. (Note that even Obama never dared touch this third rail of immigration rhetoric.) Still, progressives continue to put it all out there; the formerly beloved melting pot is now found wanting. This crowd believes that an inherently racist, sexist country deserves no better — and that only transformation will save us. And if you disagree, well … you know what you are. Quite the platform for 2020. Robert Ehrlich is a former governor of Maryland as well as a former United States congressman and state legislator. He is the author of “Bet You Didn’t See That One Coming: Obama, Trump, and the End of Washington’s Regular Order,” in addition to “Turn This Car Around,” “America: Hope for Change" and “Turning Point.” Ehrlich is currently a partner at the firm of King & Spalding in Washington, D.C.